Passover Food Usually Means an Overabundance of Potatoes. No Longer. This New Cookbook Offers Fresh, New Recipes - All For Passover and with No Potatoes. Join author Aviva Kanoff on a culinary journey from Italy to Morocco and places in-between (including England, France, Italy, Croatia, Austria, Hungary as well as Jamaica and Israel). Readers explore the tastes and colors of cultures far and near as Aviva puts a creative spin on exotic cuisines just in time for Passover. This food adventure will be leaving behind that starchy Passover staple, the potato, turning to healthy and creative substitutes such as quinoa and spaghetti squash. The recipes in The No-Potato Passover are so delicious; they are great for all year round! Makes a great Passover gift. Aviva Kanoff is an artiste extraordinaire. As a young child she experimented with art and food using her highchair as a pallet. At age 12, she prepared her first successful Shabbos meal. A painter, photographer and mixed media artist, Aviva is a graduate of the French Culinary Institute and has a degree in studio art from Hunter College. In addition to working for years as a personal chef Aviva became a visual artist. Her artistic approach has led her to creative experimentation with food. 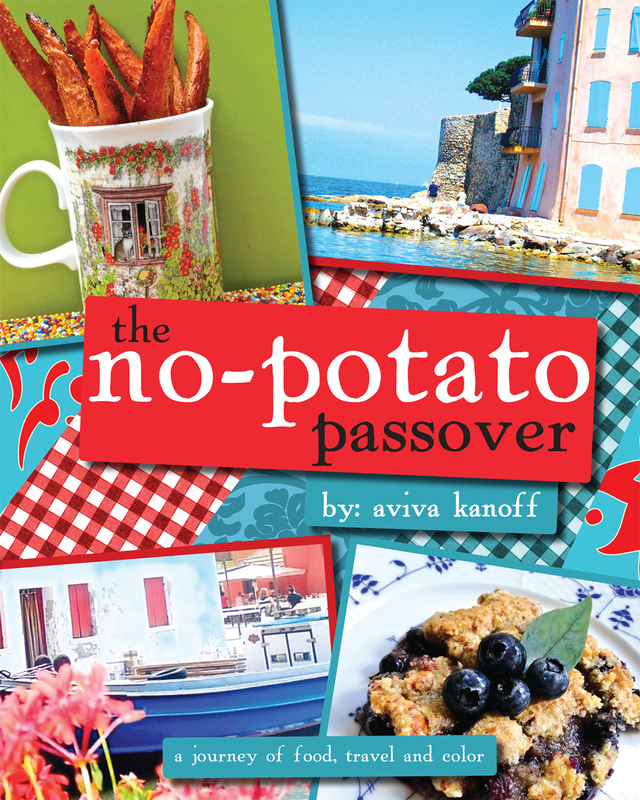 She has now combined these passions, as well as her love of travel, to bring you the No Potato Passover, a unique blend of flavors from all over the world.